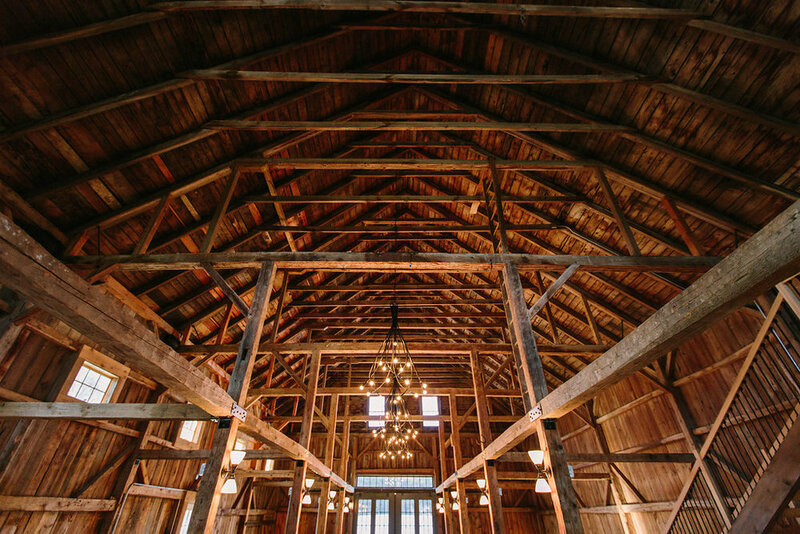 The Barn at Flanagan Farm hosts exquisite events year round. With two magnificent barns set on sixty-six pastoral acres, Flanagan Farm is versatile and accommodating—designed to take advantage of Maine’s four seasons—be it the open-air freshness of spring and summer or the crisp light and cozy warmth of fall and winter. Echoes of the property’s agrarian past are present and preserved in the brilliant restoration and renovation of the attached 19th-century barn and farmhouse and unadulterated pasture. Located just twenty minutes southwest of Portland, The Barn at Flanagan Farm offers an unforgettable backdrop to host your event, whether it is an intimate gathering, grandiose celebration or somewhere in between. With its two and a half story vaulted ceiling and open 2,400 square feet of entertaining space, The Barn at Flanagan Farm, meticulously restored in 2012, comfortably accommodates up to 250 guests depending on your layout and event agenda. A state-of-the-art sound system, cleverly disguised in the barn’s rafters, offers phenomenal sound and acoustics no matter which type of entertainment you select for your event. Dragonfly-etched sconces and three whimsically sophisticated chandeliers radiate a warm elegance throughout. The former chicken coop, fully open to the barn, has been re-fashioned for use as a bar with reclaimed barn wood, Carrera marble countertops, a vintage slate sink and floor to ceiling wine storage enclosed by chicken wire cabinetry. The gentlemen's hayloft lounge, located just above the bar and accessed by a grand staircase from the barn, is furnished with a mahogany leather Chesterfield sofa, a pair of overstuffed, striped chairs and a vintage Turkish Kilim rug. The custom, twelve-foot windowed rear barn doors open onto a bluestone patio (with outdoor sound system), manicured grounds and a cleared undulating six-acre pasture, or to dinner and cocktail tents should you choose to have them. Special features in our unique 19th century space include modernized amenities like separate power for extra sound systems and lighting and a heating and cooling system to keep guests comfortable in any temperature. Also overlooking the pasture, the smaller, English-style barn, constructed in 2015, provides an additional 900 square feet of entertaining space. Perfect for cocktails, rehearsal dinners, or Sunday brunches, our second barn makes for seamless and easy hosting over the course of your entire stay. 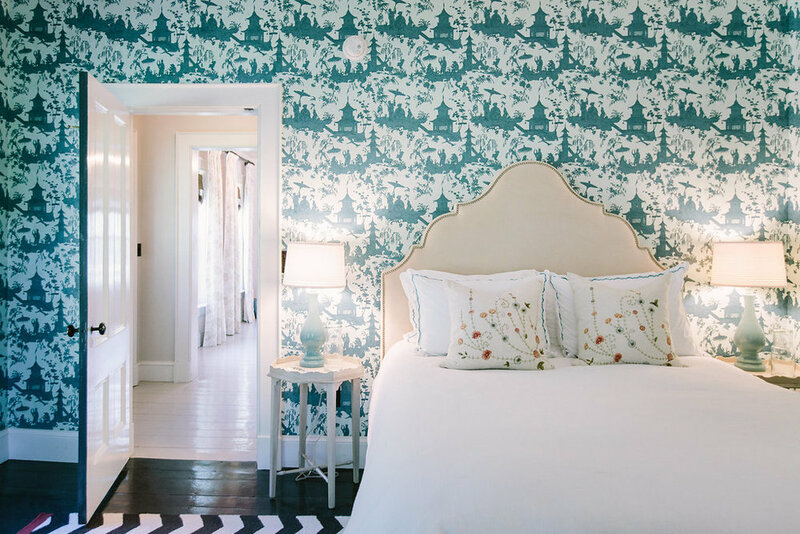 The sophisticated 2,400 square foot farmhouse, re-imagined and refined by Brooklyn-based interior designers David Nastasi and Katherine Vail of Nastasi Vail Design, offers fully furnished accommodations for up to twelve guests. The luxurious and tranquil home, whose renovation was profiled in The New York Times, provides a stunningly comfortable place to unwind and prepare for your event. The three-season groom's cottage, located just off the exterior of the house, is the perfect gentlemen's retreat—featuring a stocked bar, outdoor shower and views of the cleared, six-acre pasture. 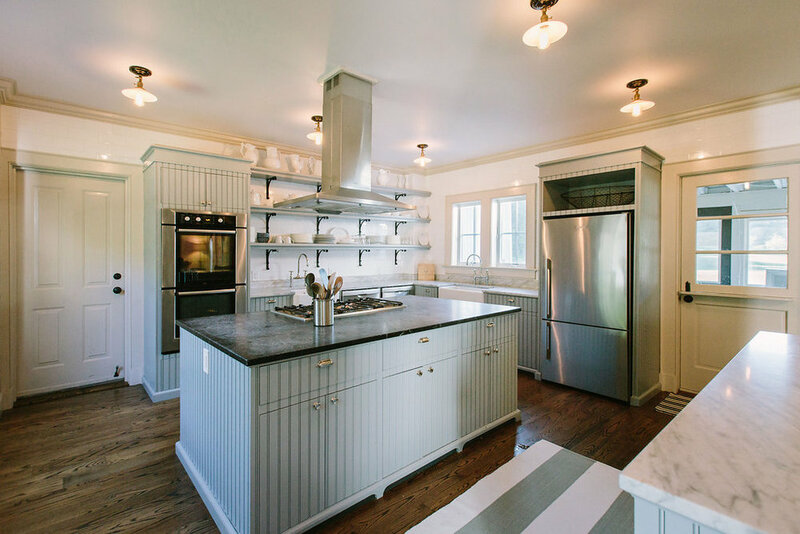 The professional kitchen is fully equipped with two dishwashers and farm sinks, Carrera marble countertops and a soapstone island and houses dinner service for up to twenty-four guests. The sixty-six acres of The Barn at Flanagan Farm were designated a Forever Farm by Maine Farmland Trust in 2011. Within this estate, the wide and cleared, six-acre rolling pasture provides ample space for dinner and cocktail tents, room for play, pear and apple trees and white flowering plants. The private woodland sanctuary, accessible by two meandering, custom-designed boardwalks, is perfect for those desiring plein-air ceremonies. The propane-fueled grill, bluestone patio, outdoor fire pit and sound system invite sumptuous meals al fresco and all-season lounging. The Barn at Flanagan Farm is thrilled to be partnered with Big Tree Catering, its' exclusive caterers. Andrew Taylor, and sources the finest in-season regional ingredients.From show-stopping tuna crudo boards and cauldrons of smoked lamb khao soi, to coastal clam bakes, teeming with local shellfish, Big Tree Catering always delivers an unforgettable dining experience. Gather friends and family for passed apps followed by a classic Maine Lobster Bake or the crowd pleasing Bo Ssam service, with their novelty cake spread for dessert. Start with a locally-sourced raw bar, meat & cheese boards, and passed apps featuring their Brown Butter Lobster Roll. Poached Arctic Char and stunning Peppermint Fields Farm Beef anchor a two- or three-course seated family-style dinner that closes with a selection of pies. Including local beers and specialty cocktails. 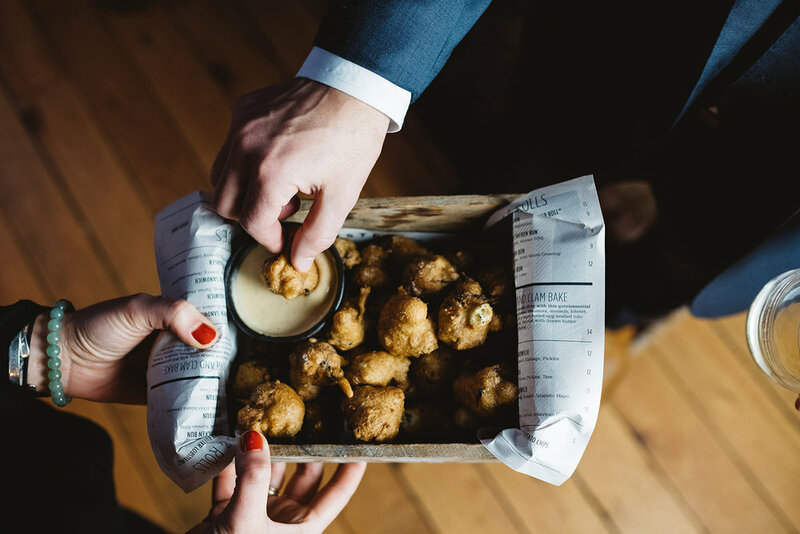 Focus on the party; skip the seated meal and opt for satisfying passed apps alongside a rawbar, chowder station, meat & cheese boards, and a low and slow BBQ feast. If your group is not of the “early to bed” mindset, keep them satisfied in the wee hours with tacos and other south of the border snacks, or our ramen and other Izakaya style treats. The following morning, greet the day with an elegant brunch of quiches, bagels with our lox, and exquisite pastries, or choose a house-made diner-style breakfast: eggs, sausage, bacon, pancakes, waffles and corned beef hash. They can accommodate all dietary restrictions with advanced notice.